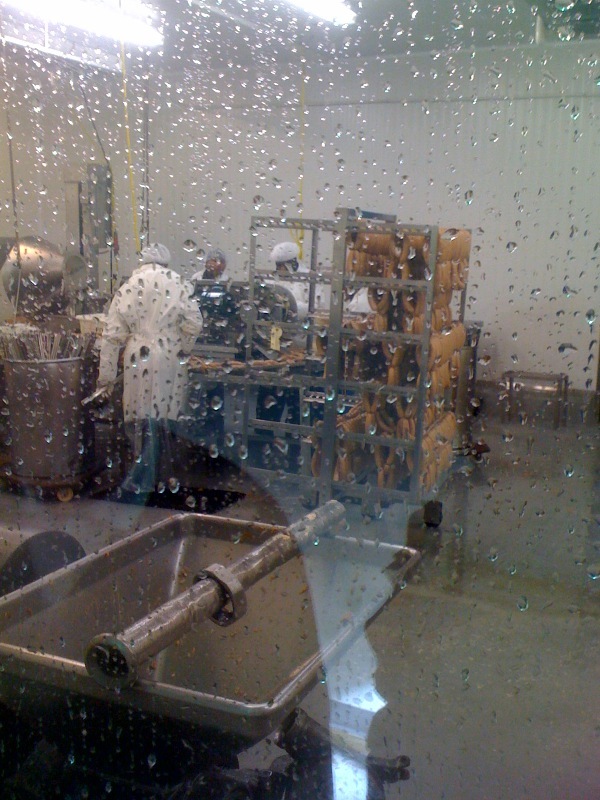 Hot Diggity and I were excited when we received an invitation from Pearl Meat Packing Co. to visit their Massachusetts headquarters. The Yank's Franks tasting team showed up this morning anticipating a fun and educational (get it...Pearl's of wisdom) tour of Pearl's facilities. We were greeted by Bud Lazaro, Vice President of Sales as well as, Bob Camelio, President and CEO. We were very impressed by the facility's cleanliness, efficiency and the friendliness of the people. Hot Diggity and I were treated to All-Beef hot dogs of various sizes, including a new Pearl Hot Dog spiced with Jalapeno peppers (ay chiwawa). We tried Pearl's beef and pork hot dogs as well as their Italian sausages. We sampled breakfast sandwiches, and even a wonderful Reuben sandwich made with Pearl's lean smoked Pastrami (absolutely delicious). Of all the terrific offerings, the thing that kept us going back time and time again was the Jalapeno dog, it was delicious and unique. 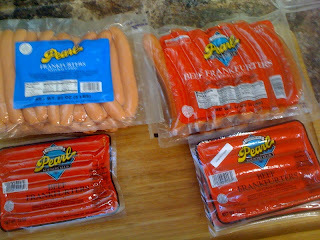 Frankly, Pearl makes awesome Hot Dogs (and more)! 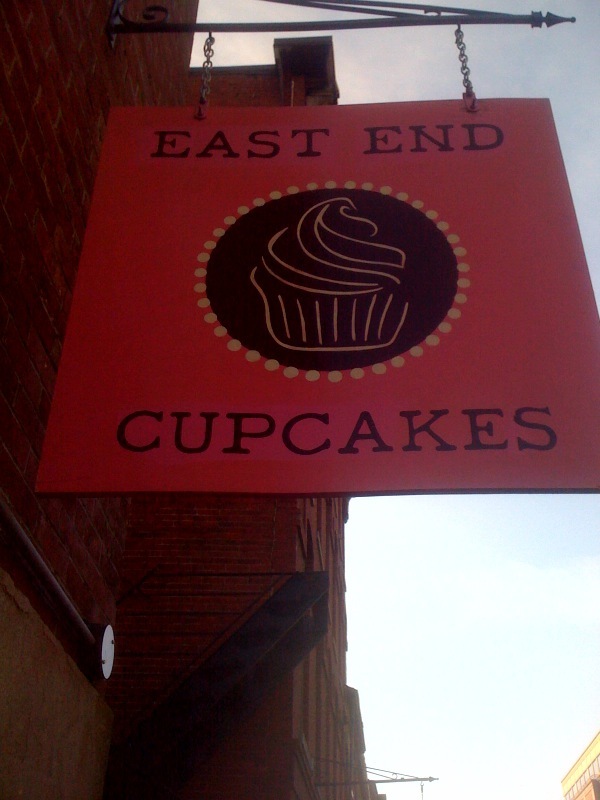 East End Cupcakes ~ Awesome!! As an addict of the Food Network, there's nothing better than seeing a local establishment represented on one of the shows. Imagine my excitement (okay, I'm a Foodie Nerd) when I tuned into an episode of Cupcake Wars and discovered a Portland, Maine cupcake eatery was one of the contestants. 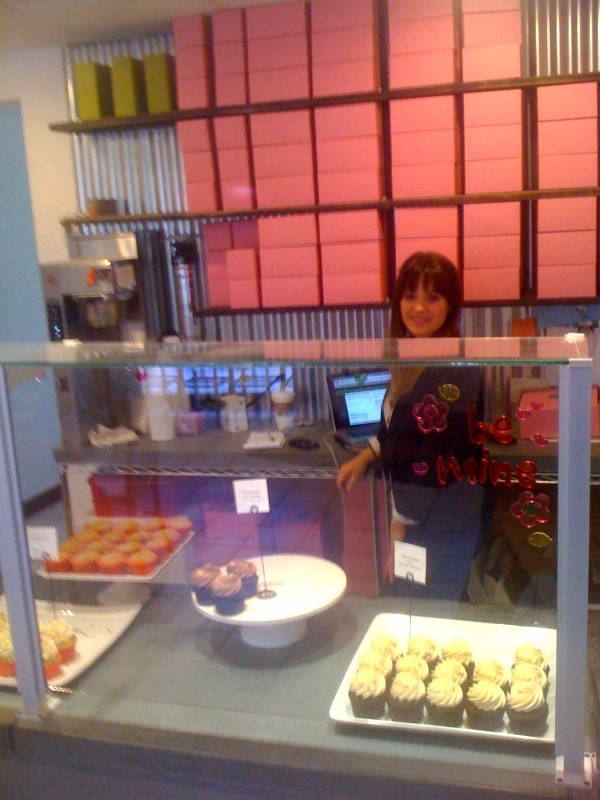 East End Cupcakes, on Fore Street in Portland was competing with three other cupcake bakeries. For those of you that have yet to see the episode, I don't want to totally spoil the ending. However, I will say that their final display which was to honor I Love Lucy's 60th Anniversary, complete with the polka dotted skirt around the table, was just amazing. Fresh off the excitement of seeing the show Monday evening, Hot Diggity and I (two of the Yank's Franks tasting team) headed to Portland on Tuesday afternoon. We were greeted with a friendly "hello" and the sweet smell of wonderful cupcakes.We had several other choices, but Hot Diggity went straight for the Chocolate with Salted Caramel icing. For me, I couldn't resist the Fanfetti with American Buttercream. 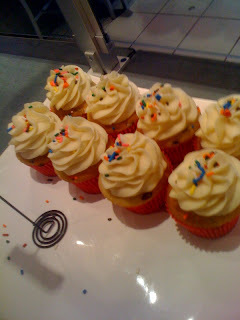 It wasn't the Fanfetti that got me, but the Buttercream was irresistable. We both agreed to split an Apple Cider cupcake as well. We actually shared each of the cupcakes. Both Hot Diggity and I decided that we chose the cupcakes that were right for us. I enjoyed her cupcake, but I was wild about my selection and vice versa. And we both loved the Apple Cider Cupcake. This place is amazing. If you're in Portland, don't miss trying East End Cupcake. They are located just down and across Fore Street from Five Guys. Be warned, don't go to Five Guys and fill up, you need plenty of room for East End Cupcakes. Frankly, the Yank's Franks tasting team loves cupcakes!